1758 saw the birth of Horatio Nelson. 1759 was known as The Royal Navy’s wonderful year and saw them victorious in the battles of Minden, Lagos, Quebec City and Quiberon Bay, these victories were closely followed by a further victory at the battle of Wandiwash in January 1760. Naval supremacy came at a cost and in 1760 the first patients arrived at The Royal Naval Hospital, with it being fully operational by 1762. The design of the facility was so far advanced as to make it the finest establishment of its kind in Europe. It offered care for the sick and injured marines who helped forge the greatest Naval Force the world had ever seen. It is an interesting historic point to note that the site was hit by 24 bombs between 1941 and 1942. The hospital served the Royal Navy for 235 years providing staff from Trafalgar to the Falklands. 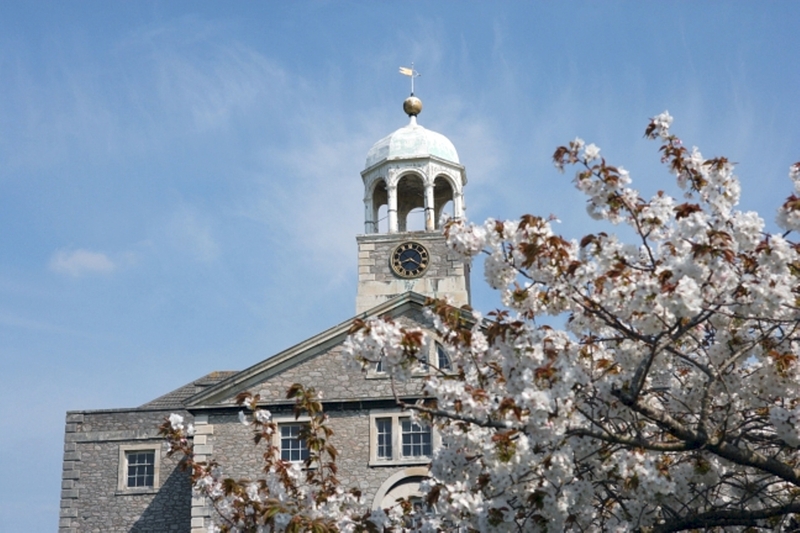 It saw many additions and changes throughout its long period of service, with the surgeons and nurses finally amalgamating with the main hospital at Derriford in March 1995. Since then the site has been the home to redevelopment and enterprise and has now grown into a community who enjoy the historic context, the wonderful environment and the enviable location enormously. The buildings and grounds are surrounded by the original hospital wall which provides a secure gated environment, giving total peace of mind. These historic buildings are being converted into a series of beautifully appointed and luxurious apartments. The elegance of the stunning 18th century buildings continues through into the interiors where the historic aspects have been emphasised through the careful and considered design of award winning architects Gillespie Yunnie Associates. Elegant granite columns and tall ceilings within the entrance halls retain the grandeur of a bygone age but are juxtaposed with modern style and finishes to make these properties truly outstanding. Wooden floors, dressing areas,contemporary kitchens and bathrooms provide the best of modern living whilst surrounded by the tranquillity of the 18th century setting.